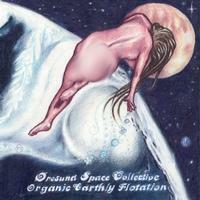 This new album from Øresund Space Collective delivers. Of course, pretty much everything they do works well. You can always count on some form of space rock. It’s always purely improvised. This is a great mix of sounds here. They move through changes, but do it all in a way that feels organic. Mellow rock sounds with a definite classic vibe open this. The picked guitar element feels almost like something from Derek and the Dominoes or Traffic to me. There are space keyboards soaring over this backdrop, though. The bass guitar stands up tall for a moment and then drops away again. Eventually the piece coalesces into a jam that feels like one part Traffic and one part Hawkwind. The piece continues to evolve and grow. Like most space rock, though, nothing changes quickly. The Hawkwind sound eventually becomes the prevailing one. There are some cool chirps and blips of space keyboards that grow over the top of some melodic guitar later. Some great exploratory modes develop as this continues and there is some cool guitar soloing on this piece. Spacey echoey sounds take over later as this works onward. It gets into a noisy kind of keyboard section as it ends. Balladic melodic guitar sounds emerge here and the track starts building out on that basis. Somehow this one feels like more of a straight line than the previous track did. Sure, it shifts and changes, but overall it remains in the same melodic space rock direction that started it. Echoey, fairly intricate guitar lines open this. They build out gradually. As it works out, it almost resembles a combination of jazz and space rock in a lot of ways. As this works out toward the ten minute mark, it gets a bit of a chugging Hawkwind-like space rock sound in the mix. Eventually (around the sixteen minute mark) that sound works back to more jazzy elements and then drops way down to mellow space to continue. Here they start with fast paced, energized space rock. It grows outward after a time towards mellower space music. As with most space rock, though, nothing changes fast. It’s very gradual. Some cool noisy keyboards emerge around the three minute mark. By around the four minute mark, only spacey keyboards remain in the mix. That instrument eventually takes the piece to its close.